The small town of Matamata, about two hours south of Auckland in the Waikato region, has created a name for itself with its tours of Hobbiton. Peter Jackson set JRR Tolkein’s famous Hobbiton in the rolling green hills near Matamata, and since, its enterprising landowner has begun giving tours to those Lord of the Rings pilgrims hoping to reach Middle Earth. The tour is a lot of fun – the land is beautiful and the houses look just like the Hobbit holes of my childhood images. Lasting for 90 minutes, the tour gives you plenty of time to see the site (although at NZ$75 it’s not cheap!). You might think Matamata is an awfully long way to go for a 90 minute tour. But this part of New Zealand is worth visiting – it’s lovely. 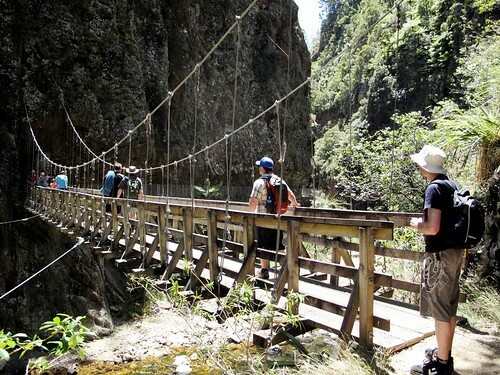 Often overlooked by tourists rushing to the spectacular scenery and extreme sports of the South Island, Matamata and the surrounding region has plenty to offer visitors – hairy-footed or not! The dark sands and crashing waves of the Raglan surf beach on the West Coast are a refreshing antidote to all those stories of white sand and azure seas. 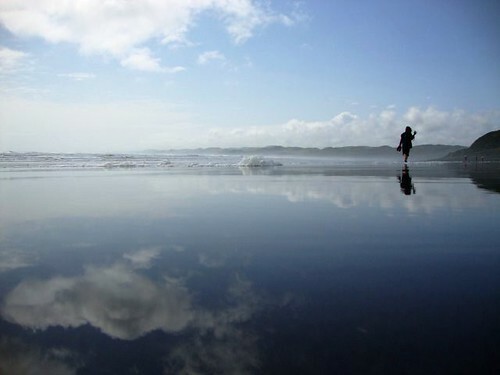 Raglan is a popular surfing spot and the town is tiny and lots of fun. Get some fish and chips (wrapped in newspaper!) and eat them by the sea. On the east coast you’ll find one of my favourite spots: Hot Water Beach, where hot springs run under the sand towards the sea. Dig yourself a nice hole and then soak in warm mineral water until you get chased back to your car by the tide. 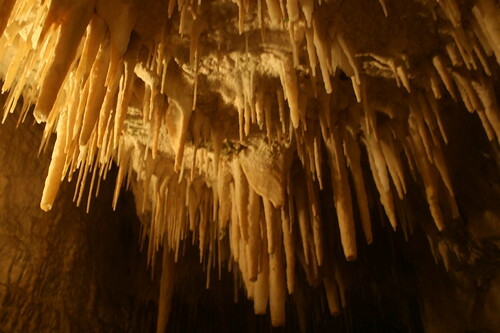 The system of caves beneath Waitomo is incredible. You can take a leisurely subterranean boat ride and stare up at the glow worms that live on the walls and ceilings of the caves. And if the urge takes you, there’s plenty of adventure to be found too. You can go black water rafting or abseil into the Lost World – a sinkhole 100m deep. There’s a series of easy walks around this area and you can have lunch and enjoy some wine tasting at Ohinemuri Estate. Take my advice – go for the tasting platter and a couple of glasses of the gewürztraminer. You won’t regret it. This is one of the most amazing places I have ever been to. 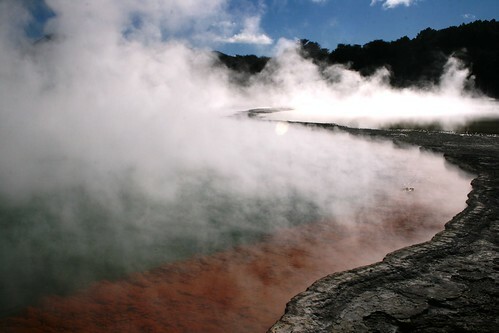 There’s something elemental in the geothermal activity which continually bubbles away at the surface of Rotorua. At Wai-O-Tapu (The Sacred Waters), there is a great walk around some really unusual geothermal features that are radiating with otherworldly colours (and smells). For a different perspective on the region you can book hot air balloon flights from Hamilton or jump out of a plane (with a hunky instructor tied to your back) in Matamata. 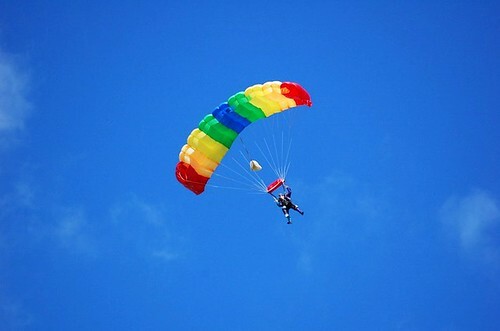 Take the balloon option and you’ll be rewarded with a glass of champagne at the end! To hear more about Teresa's adventures - in Hobbiton and elsewhere - follow her on Twitter. Ready to venture to Middle Earth? View our flights to New Zealand on our website and take a look at our New Zealand holidays.